Create and order Custom Aprons. No Minimums and Free Shipping on all orders over $100. Custom Aprons for gifts, staff, events, promotions or give-aways. T-Shirt Elephant allows for aprons to be ordered blank or customized with your own design. Branded aprons make a great corporate gift or give away. For a higher-end product, we offer embroidered aprons. 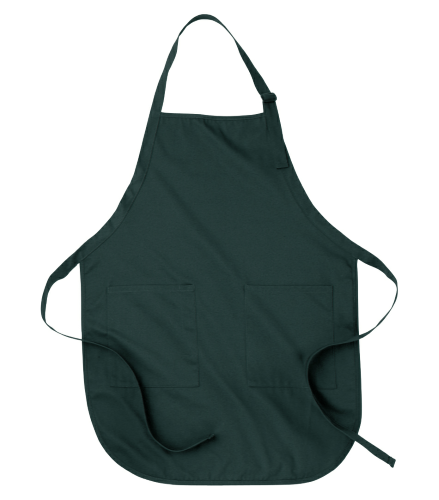 Our aprons come in a variety of colours at an excellent price point. Cook and bake in style, wearing your customized apron! Personalized aprons make great gifts as well!